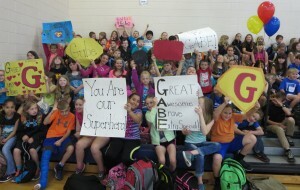 Home / BES Slideshow / Gabe Day! 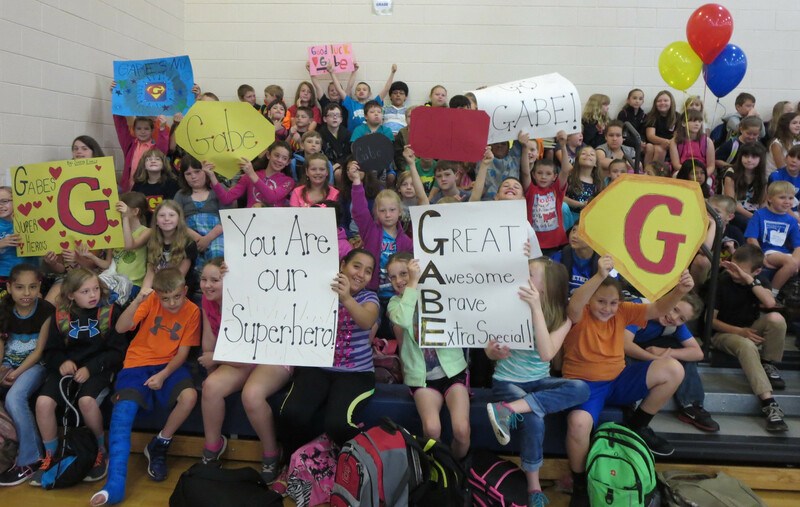 Bethel students, staff members, and PTO officers rallied together to celebrate and support fourth grade student, Gabe Ingle. Due to medical conditions, he has had several surgical procedures this year and will have more in his future. In speeches given by his fellow classmates, Gabe was honored for his bravery, sense of humor, and his encouragement of his fellow students. Classmate, Lettie Jo Watson, led a staff fundraiser to collect money to help Gabe’s family with medical expenses. We know “Gabe Day” was a huge success… “It was the best day ever,” said Gabe.